Ryuichi Kiyonari says he’s remained confident ahead of next weekend’s opening round of the 2015 MCE British Superbike Championship at Donington Park – the circuit where he took a double win last year. 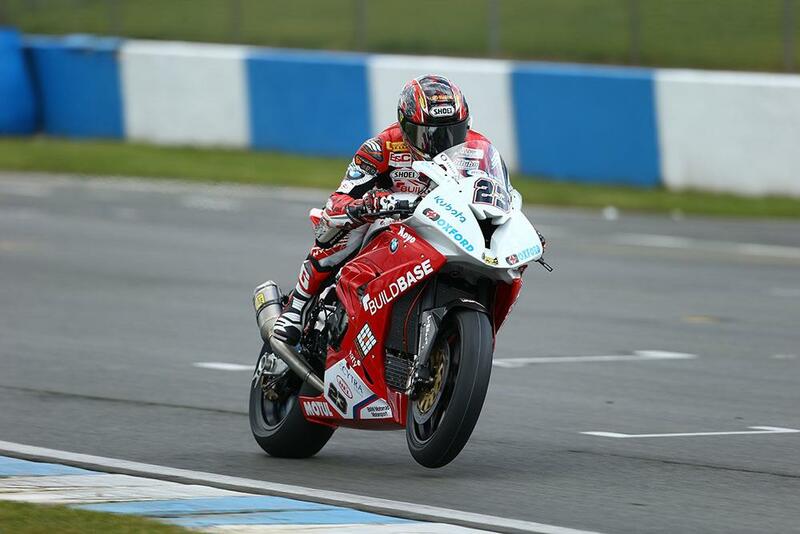 Despite suffering from a lack of pre-season testing, the Buildbase BMW rider was quick to get on the pace, spending much of the final session in the top two alongside reigning champion Shane Byrne. Only a monster highside that saw the former triple champion catapulted over the bars at Redgate slowed him down, and he remains upbeat despite admitting that he left the Derbyshire track a little battered and bruised. “This was only the third time riding the bike this year, it wasn't very fast, but I think this was because of the conditions as it was cold and windy. I didn't expect to be there in the results - I was a little worried because we hadn't tested on a big BSB circuit for a proper test before yesterday. "I was a little nervous to start but once we had started the laps were coming better and I wasn't thinking about anyone else, I was just concentrating on myself and improving. We have been testing the different set-ups and I was trying, but I think I did a little too much trying!